Product info: Capture impurities and remove makeup from face and eyes. Contains soothing calendula extract for absolute comfort. Ultra light, leaves the skin soft and refreshed. 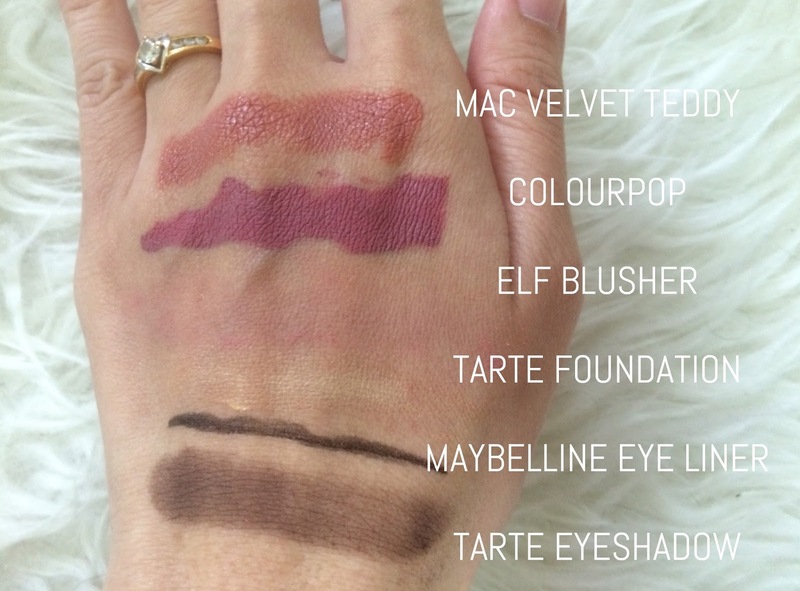 Where to find: Any Sephora Outlet. 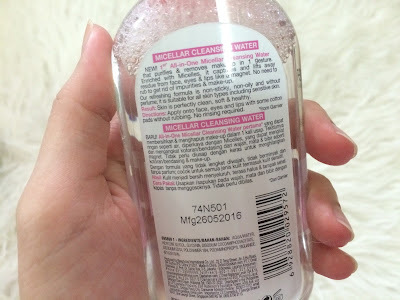 Maybelline Micellar Water. Clean Express Miracle Water. Product info: Removes light makeup, trapped dust and dirt. Hydrates. Freshens like a toner. No need to rinse. No alcohol, fragrance and oil. Where to find: Any Watson, Guardian, Maybelline counter. 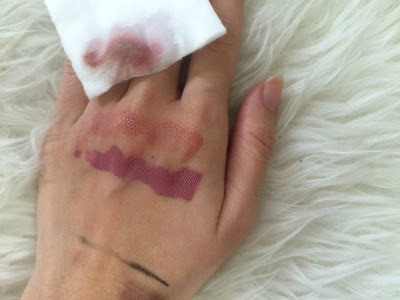 Product info: Purifies and remove makeup in 1 gesture. Captures and lifts away residue from fac, eyes and lips like a magnet. Non-sticky, non-oily and without perfume, suitable for all skin including sensitive skin. Where to find: Any Watsons or Guardian outlet. Before applying the micellar waters. After applying Sephora Triple Action Cleansing Water. 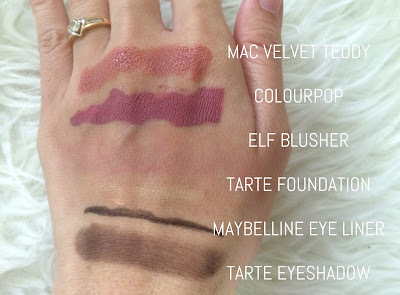 (Focus on the left) Can easily remove eyeshadow, eyeliner and blusher. After applying Maybelline Micellar Water (Focus in the middle) Can easily remove eyeshadow, eyeliner and blusher. Hardly removes the Colourpop liquid lipstick. 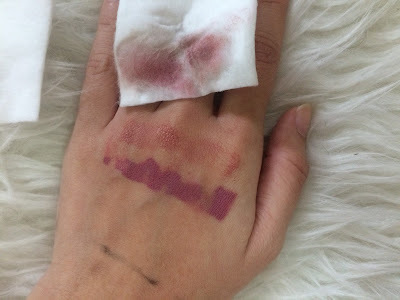 Tapi Colourpop memang susah nak remove pun. 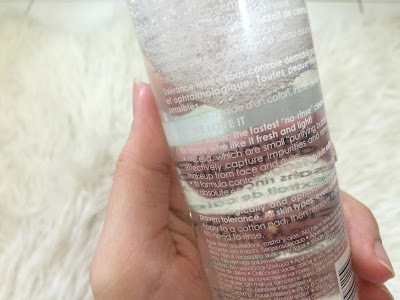 After applying Garnier Micellar Cleansing Water. 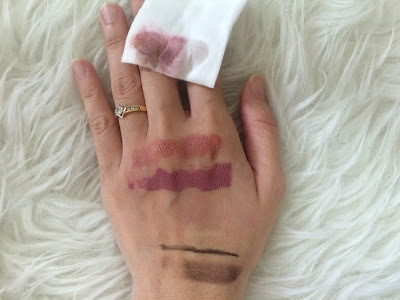 (Focus on the right) Can easily remove eyeshadow, eyeliner and blusher and slightly lipsticks. Sephora's Triple Action Cleansing Water is not really suitable to remove lipsticks, sebab dia rasa pahit bila kena dekat bibir. Totally not loving it. And it contains fragrance, which kind of irritates my skin a bit. Guna sekali sekala bila desperate, okay kot. 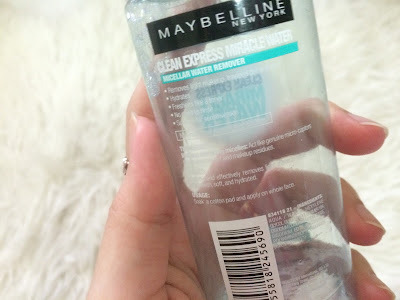 For Maybelline's, it kind of making my skin a bit tight and dry after using it. It is also a bit sticky so lagi selesa cuci muka lepas pakai, although dia kata no need to rinse. But maybe just because of my dry skin. I'd prefer Garnier Micellar Water because it is very affordable, and the cheapest among three. RM0.08/ml je! It removes my makeup enough, sebab normally memang tak pakai heavy makeup pun, so this one is enough for me. It doesn't dries my skin at all. 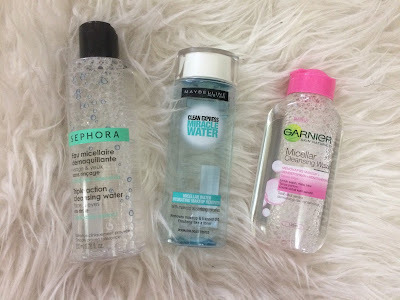 Cons, all these micellar water can't remove waterproof mascara. Kena pakai normal makeup remover or I'd normally use coconut oil. *Bought all these products with my own money. Not a sponsored post.